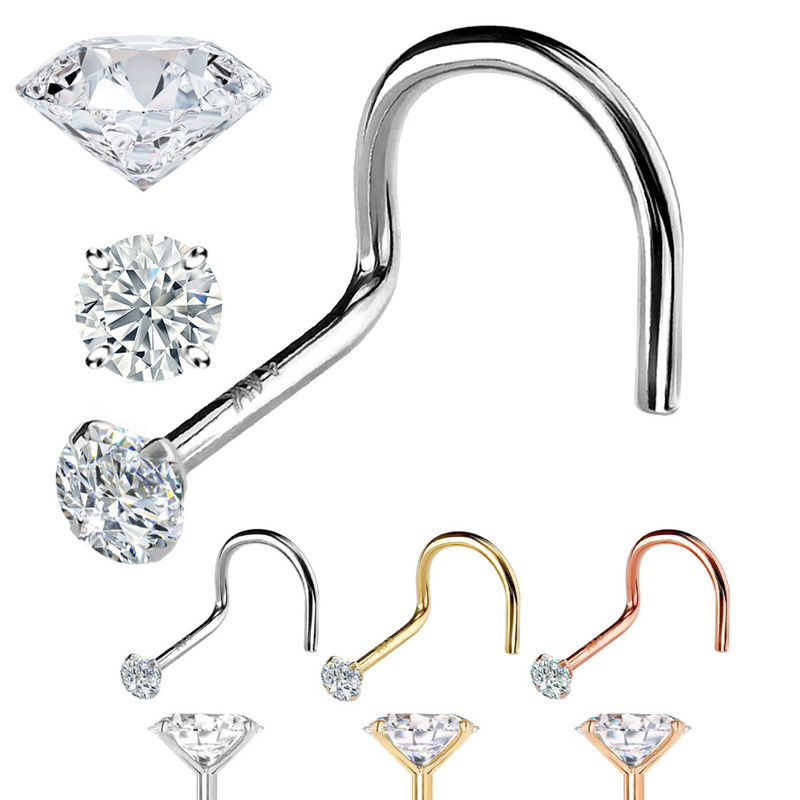 Find your perfect diamond nose ring at factory-direct prices. 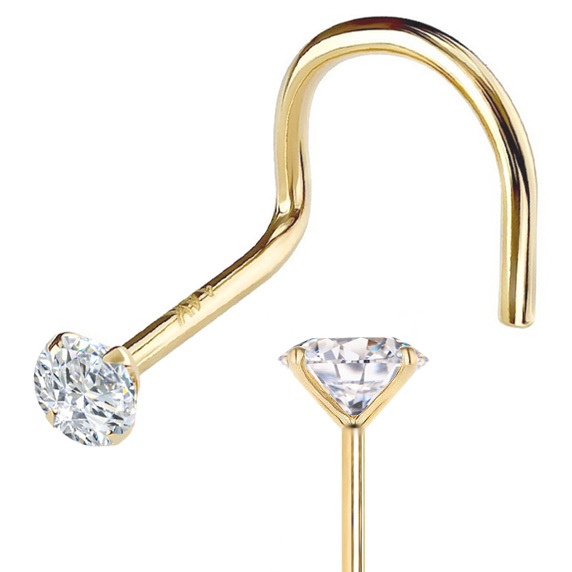 This dazzling U-shape diamond nose ring is a must-have accessory that goes with everything. 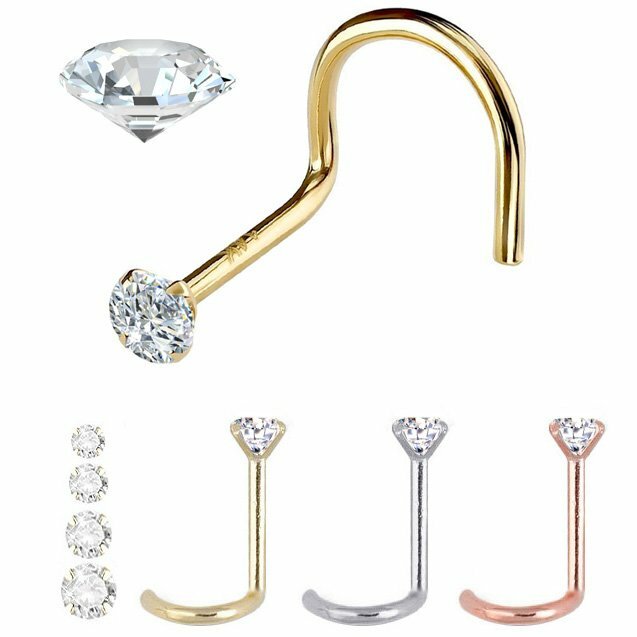 Our conflict-free diamond nose ring features brilliant round prong-setting genuine diamond handcrafted in highly polished nickel-free 14K solid gold. 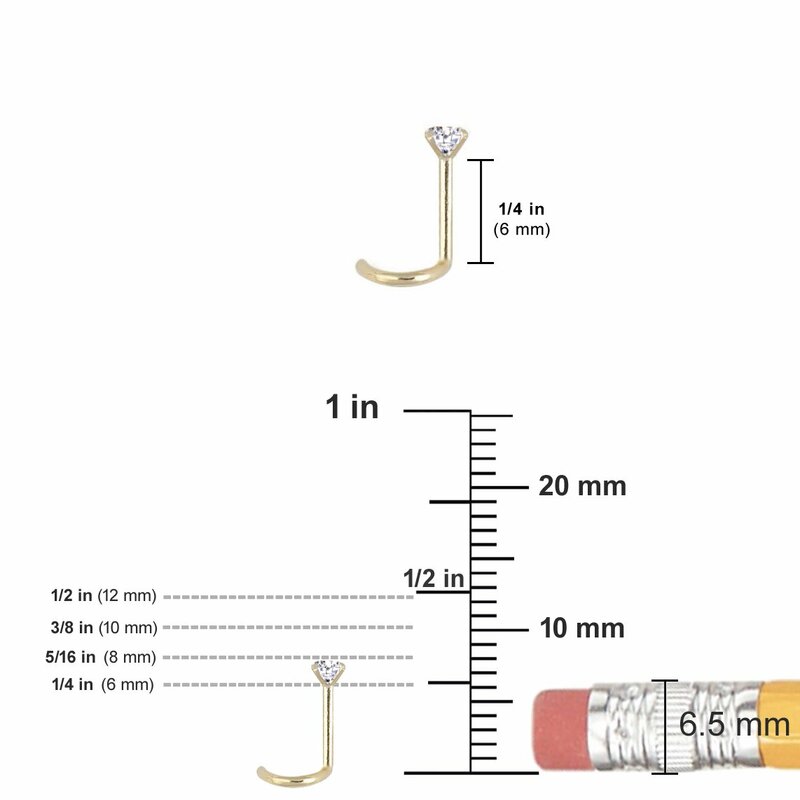 Q : Does this fit left nostril piercing? 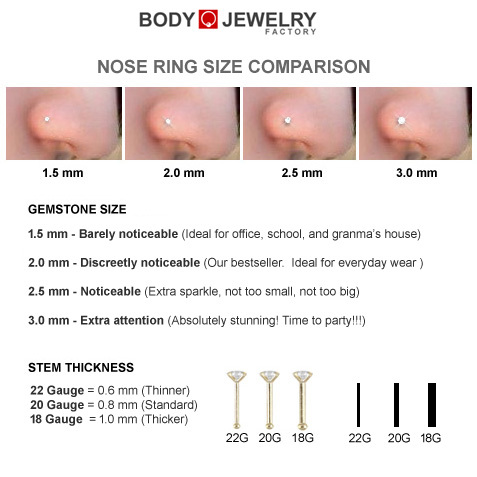 Yes, this definitly fits left nostril piercing. Q : Will it work with a right nostril piercing ? We have sizes from 22 gauge to 18 gauge. Q : Does this come just with the top' or is the base included? It is one complete piece nose ring.